We believe in the Great Commission to go to the outer parts of the world to spread the Gospel of Christ- we enter the church walls to refresh and nourish our souls and to worship to Jesus collectively unified as one body working together to serve the community for which we live. We Enter To Worship But More Importantly We Leave to Serve Others. Love God and Love Others, and Show Love by Serving Others. Steele Baptist Church is a warm and loving church, and we want you to feel comfortable and at liberty to call on us for anything you need. Feel free to browse through the various areas of our website and learn about our fellowship. 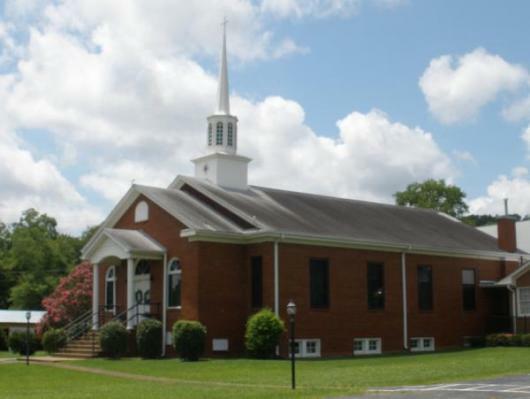 If you are searching for a church home or considering relocating to our area, we would love to have you be our guest for Sunday School and worship. Handicap parking spaces are located on each side of the building. A wheelchair ramp is located on the right side of the building and a wheelchair accessible restroom is near the entrance door. Sunday, April 21, Easter Sunday will start with a sunrise worship service at the church at 6:30 AM. The Men of Steele will be serving breakfast after the service. Our Bible study groups will meet 9:45-10:15 AM with an abbreviated study time. Please take note that at 10:30 AM (not the usual 11 AM time), our morning worship service will begin. We are excited about this time of celebrating the resurrection of Jesus Christ! We will observe the ordinance of baptism and have special music from our children and our Adult Choir. Please come worship with us!